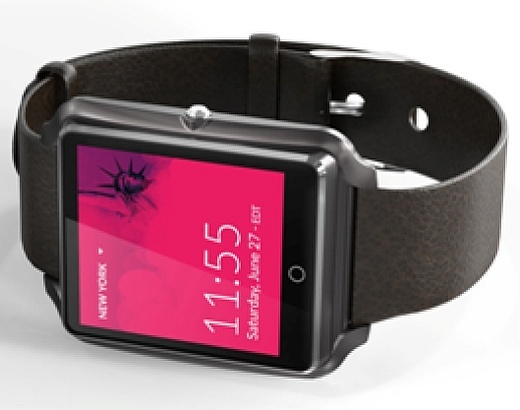 The Uwatch might become the second smartwatch of this Chinese company after the Xwatch, but none of them is official yet. Bluboo may sound like a strange name that not many heard of, but they are a Chinese company who aims high. Like most Chinese startups, they try to create cheap devices that offer the same specs, features and build quality as those built by notorious brands that cost at least twice. They already unveiled their upcoming Xwatch smartwatch, and now it looks like it will soon get a cheap sibling, namely Uwatch. Not much has been revealed about the Uwatch so far, but unlike the round-faced Xwatch, it will have a rectangular shape and will be built using mainly metal. While the Xwatch has two physical buttons on the side, the Uwatch appears to have a capacitive one right below the screen. Unfortunately, there is not a single bit of information about its specs, but one thing is certain - it will run Android Wear, as its Xwatch sibling. The Bluboo Uwatch is expected to become the cheapest Android Wear smartwatch on the market, with a price of just $49.99 USD. Strange enough, Bluboo has just removed the blog page about this wearable, so we may hear more about it soon or much later. No matter what happens, we will keep you posted as usual.